As India proceeds to Vasubaras, the first day of Deepavali celebrations in the state of Maharashtra, traders and business people consider this day an auspicious one “for making important purchases, especially metals, including kitchenware and precious metals like silver and gold,” according to Wiki. As the demand for gold rises in India, silver demand rises as well. Another factor which could drive higher India imports of silver is the high cost of gold. Malaysian news outlet, The Star, reported that the rally in the gold price has created a problem of affordability among many Indians. Many Indians have always struggled financially to purchase the sacred metal for religious ceremonies, with some families spending their entire life's savings on the wedding of their young bride. But gold has increasingly become more prohibitive to many families in India as the rally enters its 11th straight year of higher prices. An in depth interview with prominent money manager Eric Sprott. STOP the herd mentality and think outside the box. 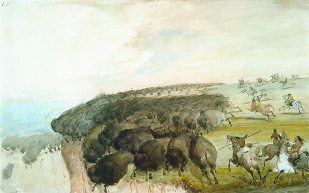 Everyone knows the story of the Indians leading the buffalo to stampede off the cliff. Don't be the buffalo, my friends. Retirement savings are only as good as the currency they're measured in. When Central Banks around the world are printing money to solve problems, your so called "Retirement Plan" is worth-LESS. Not understanding how the system works and how to measure REAL value is why many are losing their shirts in the "BUY and HOLD" for the long-term strategy. The only people benefiting from this are the financial institutions, insurance companies and financial planners, if they even deserve that title? People should be more focused on sound money management (buy-low / sell-high) by taking profits and moving them to a solid store of value like GOLD! Ask yourself, why have savings in a currency that will continually lose value forever? It is the nature of all governments to expand money and credit, which eats away at your hard earned wealth. The minute you deposit money into a bank it becomes inflationary because the bank will leverage your money to provide loans. TORONTO - A newly released poll suggests that more than half of Canadians over the age of 45 are concerned that the sagging economy and volatile stock markets are squeezing their retirement savings. The poll by Sun Life Financial (TSX:SLF) and the CARP seniors group, released Thursday, said 54 per cent of 5,500 CARP members surveyed were worried about the impact of economic turmoil on their financial security. And a third of respondents said they fear losing money in their retirement accounts from recent stock market losses. Is Gold The ONLY Safe Haven Asset Left? 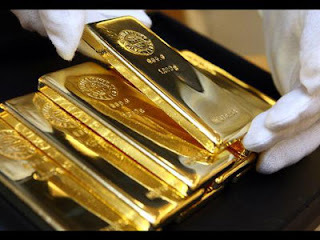 An August survey by the Gallup Poll found that 34 percent of those questioned considered gold to be the best long-term investment, beating out real estate, stocks, conventional savings accounts and bonds.